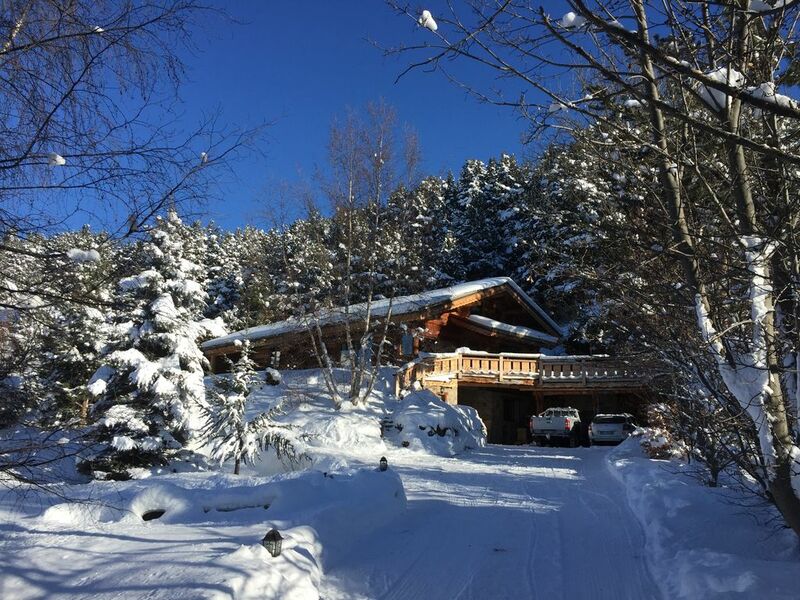 A dream cottage in a dream setting: on the edge of the forest, on a large south-facing plot, in a dominant position, close to the ski slopes of Font-Romeu-Pyrénées 2000 and the old bell tower of Bolquère. The chalet Les Artigues from above is an authentic "cabin" with luxurious comfort: large natural logs barked by hand, wood stove, green roof, heated outdoor spa, Finnish sauna, huge wooden deck with deckchairs ... to admire the majestic glacial cirque of Cambre d'Aze and the old millennial village. 240m2 interior: 5 bedrooms, 3 bathrooms. 3 WC; large bright living room with a huge wooden table for festive meals and a cozy seating area. Cellar-laundry-back kitchen and wood store. Mezzanine opened on the stay with piano, living room TV, library, video library, offices and additional table. To be assured thanks to the equipment of very high quality (natural materials, bedding, silent hood ...), with the underfloor heating associated with the pleasure of the fire of wood, the hot whirlpool with its massaging jets, with the large spaces bathed in light. Ready beds, towels, slippers and bathrobes provided. Final cleaning (except kitchen and dishes), water, electricity, firewood, internet WIFI, snow removal included. Olivier & Florence welcome you with simplicity and friendliness while revealing the secrets of the fuste and the good addresses of the area. A deposit of 2000 euros will be asked in check or cash on arrival and will be refunded the day of your departure.